Adopt-A-Pet.com News < Miami sports stars helping shelter pets score homes! Miami sports stars helping shelter pets score homes! 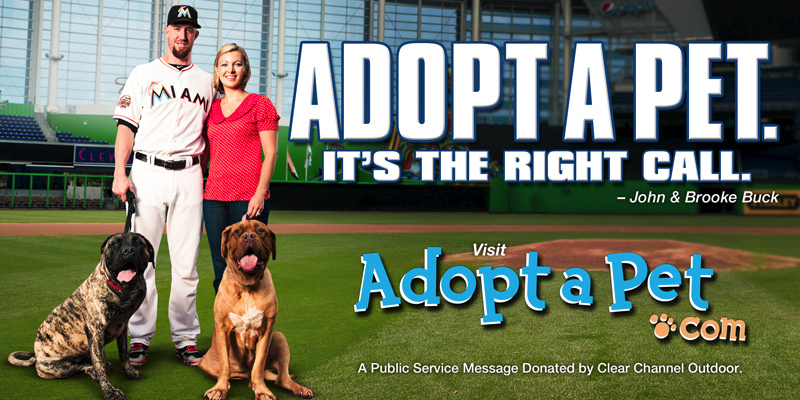 We have some important news: This week, Adopt-a-Pet.com, with help from a couple of sports stars, will launch a major pet-adoption campaign in the greater Miami area. 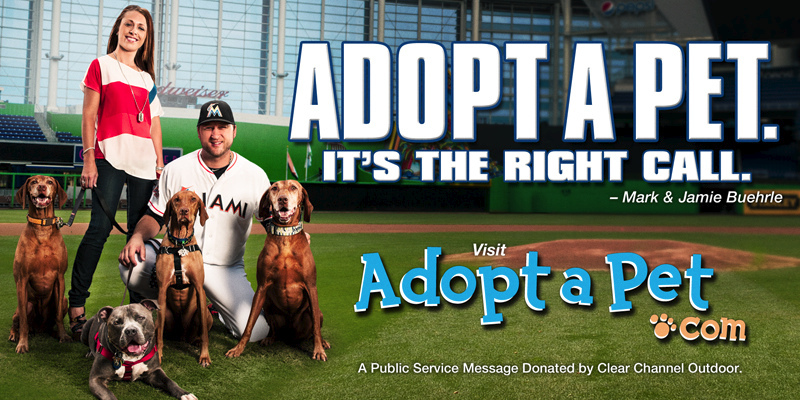 Beginning this Wednesday, we’ll be blitzing Miami with more than 40 billboards and two online public service announcements featuring Miami Marlins stars Mark Buehrle and John Buck, their wives Jamie and Brooke, and their assortment of loveable dogs. The message is clear: Adopt a pet.